Aimed at UK SMEs, but useful in other countries too, this site is dedicated to making export easier. Designed for businesses wanting to get started in exporting, we want to show that it can be simpler than you think and give insights into what to expect and what to look out for. 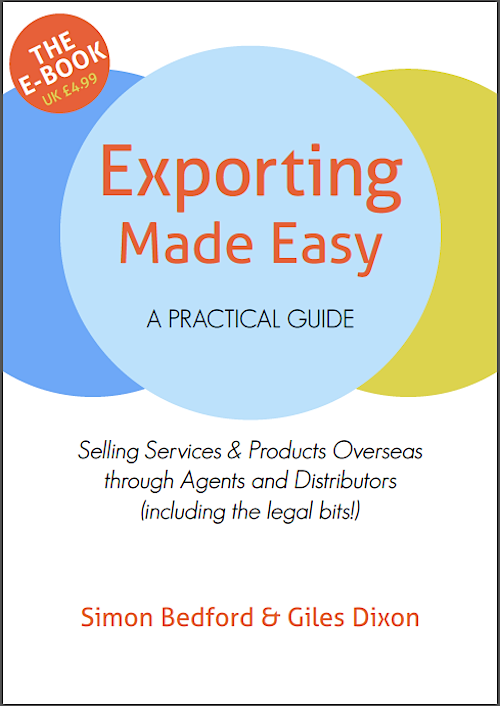 You can sign up for email updates on the right, or order the book , which covers in detail all you need to know about getting started with exporting your goods or services. Having just attended the UKTi webinar you hosted on exporting I have ordered your book. Many thanks – we will add you to the updates.